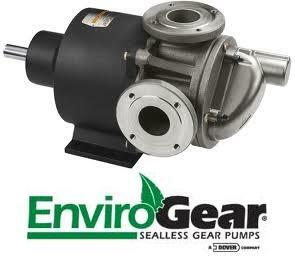 EnviroGear was founded and manufactured as a zero-leak pump for customer in the chemical, petrochemical and food processing markets. The pump is uniquely designed to enable customers to reduce operating costs and eliminate environmental costs for a more affordable up-front investment. To date, EnviroGear has had great success in various difficult applications. Simple design with only seven primary parts. Dimensionally interchangeable with various other gear pumps, and side-ported casing available for interchangeability with select lobe pumps.